Many of you may have noticed that we had a new hub participating in our last radio communications drill. That new hub is located in North Delridge; here’s the official announcement about it on the North Delridge Neighborhood Council website. 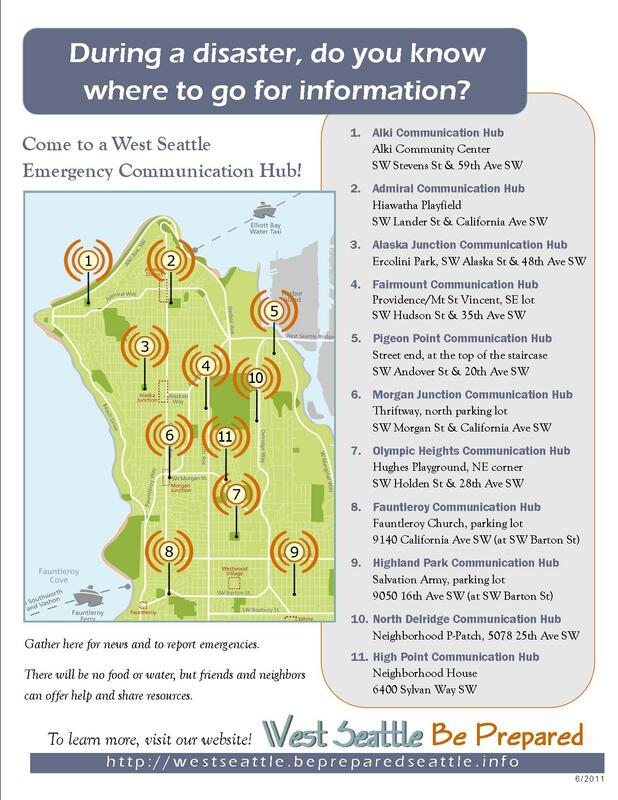 The addition of this North Delridge emergency communication hub plus another new hub in the High Point neighborhood give us a total of 11 West Seattle hubs. Welcome!!! This entry was posted in Announcements, Earthquake Preparedness, Welcome!, West Seattle Be Prepared and tagged emergency communication hub map, High Point emergency communication hub, North Delridge, North Delridge emergency communication hub, West Seattle Emergency Communication Hubs, West Seattle emergency preparedness. Bookmark the permalink.